Hey Pyromaniac, your pit looks nice. We'll have to see what she looks like next year. I bred this female sayi a couple weeks ago. 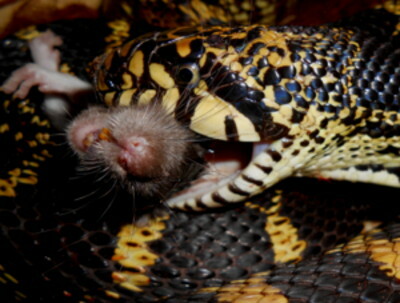 She eats 4 or 5 small rats every 4 days or so, because she's pregnant.